Singer, comedian, actor and impressionist extraordinaire Danny Gans died Friday morning at his home in Las Vegas. The exact cause of death is not yet known; he was 52. 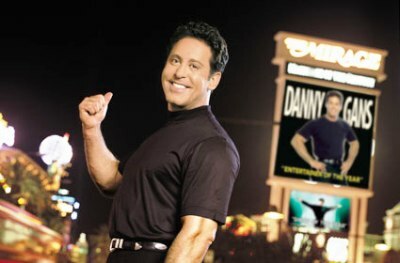 Danny Gans entertained Las Vegas for years and years at The Mirage, until last February when he moved his legendary show to the Encore Theater at Wynn Las Vegas. Danny Gans was named “Las Vegas Entertainer of the Year” for a whopping 11 years in a row. Gans is survived by his wife Julie and their three children. Las Vegas celebrities react to the death of Danny Gans….. I was very sad to gear of Mr. Gans passing. I will be in Las Vegas in july and was looking forward to seeing him. God speed my your family be well. Danny Gans was the best entertainer in the world. I am very happy to have witnessed the talent of this wonderful person. He will be missed by many. God bless and protect his family. Rest in peace Danny Gans. Danny Gans did a Heath Ledger. Accidental overdose of prescription drugs, specically Oxycotin & Ambien.